Buying A Used Car For The First Time? Follow These Tips! Home/Donor Car/Buying A Used Car For The First Time? Follow These Tips! Buying a used car can be a real money saver provided you lay your hands on a good car; you can really enjoy the drive and will not have to worry about small scratches and large bank repayments. Before you actually go for a car, you must see that the previous owner has maintained the car well and the car is in good condition. You must also ensure that you are not purchasing car from a rogue dealer, but go to a reputed dealer who is trustworthy and reliable. 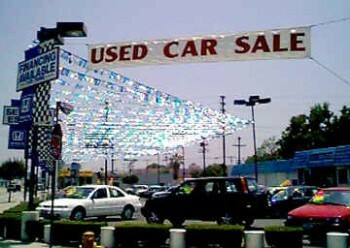 Most of us do not have good knowledge of used cars and may end up purchasing a junk. These tips can really help you in getting a good vehicle. You must look at your budget and see how much money you want to spend, looking for a used car on the internet auctions or visiting several dealers will help you in identifying the car which you are looking for. You must keep in mind your budget; never spend more than your budget, which will make you short of money. When you intend to purchase car from the car yard, be firm about the limit of your spending. Once you sure how much money you want to spend on the used vehicle, spot the right car and ensure you are getting a quality vehicle and not junk. If you have no or little knowledge of the cars, never shy to take some good mechanic or an expert with you, even if you have to spend some money on it. You can also prepare a list of questions and ask seek answers from the seller, this very important when buying from the dealer. This move will give an impression that you have sufficient knowledge about cars and chances are you will not get cheated. Purchasing cars from various sources is possible these days, you can go to a dealer or buy it from a private seller. Now for the last many years cars and sold and purchased over internet, you can purchase through internet auctions. May such auction sites are sponsored by financial companies and you can get amazing bargain. Majority of the cars sold in these auctions are couple of years old and are in excellent condition depending upon the owners how well the owner has maintained it. These tips can save you from getting cheated by rogue dealers, it always good to research well so that you do not lose your hard earned money. Buying any car is a huge investment, you must always look that you invest in the right product. There are good and bad dealers also, if buying from a dealer, ensure that the dealer is trustworthy and reliable. Getting extended warranty is also good; this will give you peace of mind in case of future repairs. Spending some money on extended warranty is a safe investment, ensure you read the warranty carefully and understand the terms and condition of the warranty. Remember a stitch in time saves nine. Be careful and enjoy safe and pleasant drive. 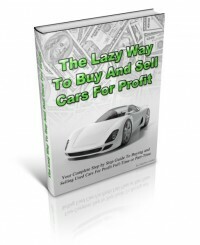 Hobbs’ guide will show you how to make a steady profits of $300 to $3000 from buying and selling used cars on a full-time or part-time basis. Click on the link below to visit his web site right now. ==> Click here to visit Stephen Hobbs’s site!